Ancestry.com is the undisputed industry leader in genealogy record databases. Their power comes from a massive data collection of over 15 billion records and they add a million or more records every week. That is why Ancestry is the first place many genealogists look when they start their research. There is more to Ancestry.com than just their massive record collection. In order to get all you can out of your subscription, you need to dig a little deeper. Their unique combination of features: gigantic record collection, large customer base, and powerful collaboration tools makes their site unmatched in the industry. The very first thing each user should do on Ancestry.com is create a family tree starting with yourself. Even if this is a duplication of your family data, it is worthwhile for the following reasons. It allows you to collaborate with other members (potential relatives of yours), which can lead to new discoveries. Ancestry.com will search its massive archive to find records likely pertaining to your ancestors and present matches as leafs or hints. This is a very powerful feature that will find records that you did not even know existed. Let the tool perform research on your behalf to discover and save pertinent records at the touch of a button. You can match your tree against others in the world family tree. 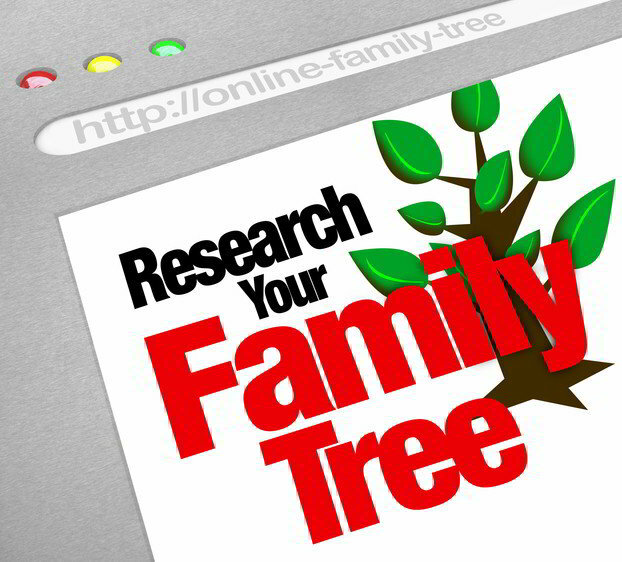 This is a great way for you connect with others who have uploaded their data to the world family tree. If they sourced their data exceptionally well you can adopt their research, otherwise use this data as hints for further research. Uploading photographs for the individuals in your family tree is also a good collaboration move. The people who come to get a copy of your photos are likely relatives of yours. The downside to having such a massive wealth of data is that their search mechanism has to accommodate every type of record and tends to be a bit complicated. A single query may return hundreds, if not thousands, of matches and it is not feasible to thumb through every one. The real trick is to narrow your search down by using advanced search features to reduce the number of records in your search results. The search options listed below should help. Change the default settings to using combinations of exact, phonetic, and names with similar meanings. Use wildcards in your search including “*” for multiple character matches and “?” for single character matches. Search by life event (i.e. births, marriages, deaths). Add spouse and children to search criteria. Use slider bars to narrow search for search criteria you know to be true. Use card catalog to search individual collections. Be careful not to get too specific on name spellings or you could miss out on records. Often times names are misspelled, initials/nicknames are used, or mistakes are made in the indexing process, so being less specific on the name but adding a location, date or spouse name to the search can often do the trick. The DNA area of Ancestry can be another valuable way to locate family members. In order to take advantage, you need to buy a participation kit and submit a saliva sample. Once your ancestryDNA results are load into the system, you can see others who share close DNA matches. I have located several new cousins this way. Connecting with them often leads to new discoveries. The more popular DNA testing gets, the more powerful the results will be as time goes on. Ancestry also has some good resources in its Learning Center that are well worth checking out. With the building popularity of their franchise, the collaboration features of your subscription should not be overlooked. If you desire more information to guide you on your journey with Ancestry.com, I can recommend the following excellent books on the subject.